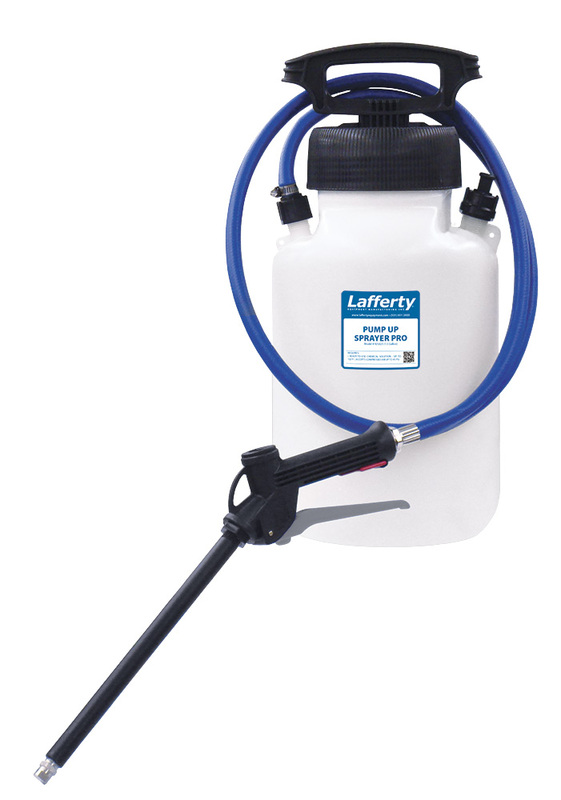 Pump Up Sprayer Pro, 1.5 Gallon | Lafferty Equipment Manufacturing, Inc. The 1.5 Gallon Pump-Up Sprayer PRO is a heavy-duty, portable spray applicator for applying ready-to-use chemicals on to any surface. This professional model features a more durable 6' hose, trigger gun, wand, and fan nozzle compared to your typical pump-up sprayer.